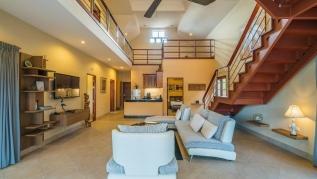 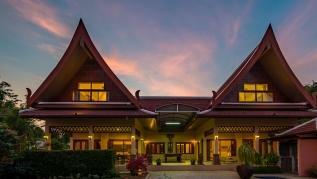 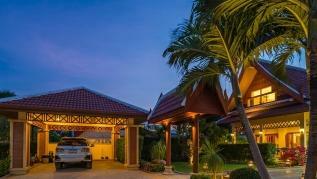 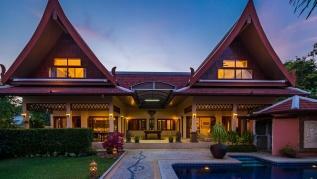 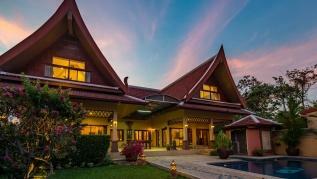 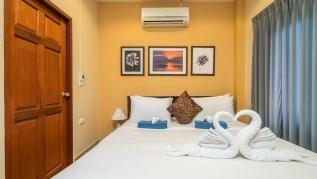 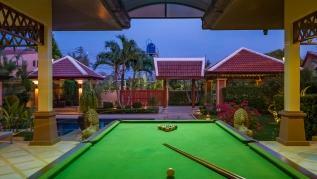 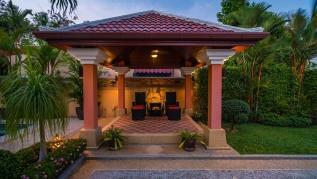 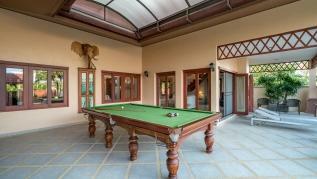 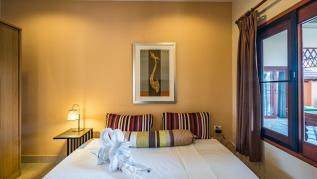 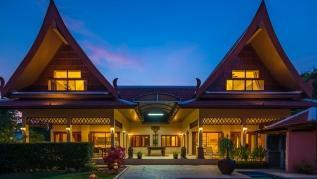 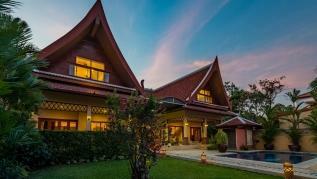 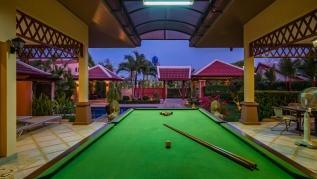 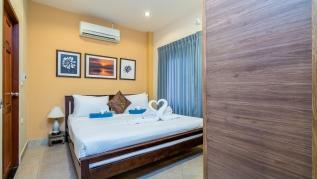 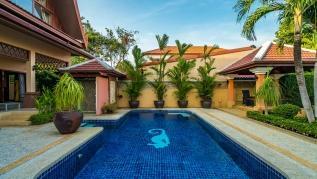 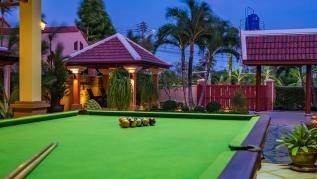 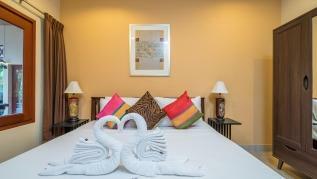 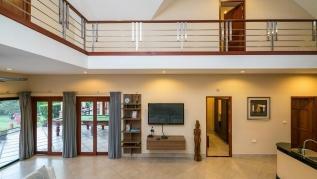 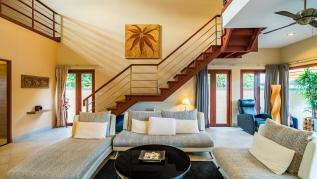 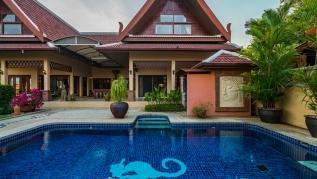 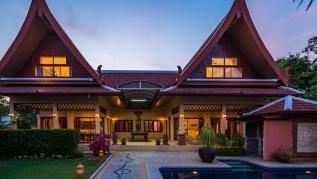 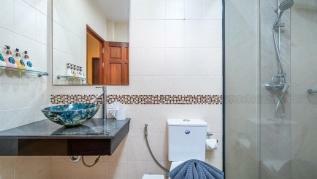 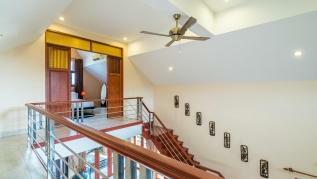 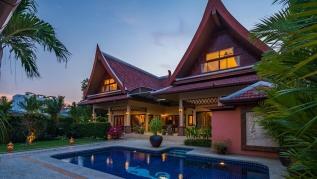 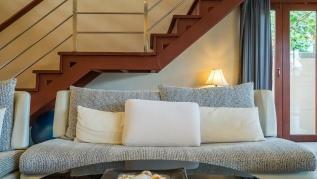 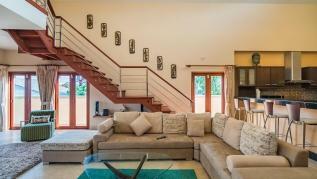 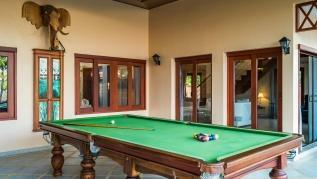 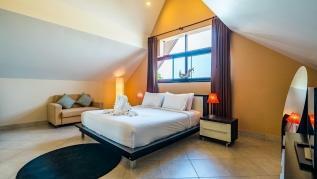 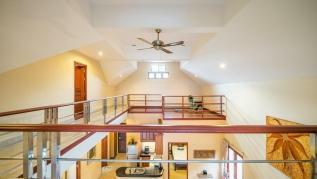 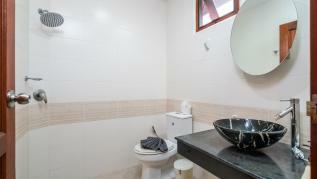 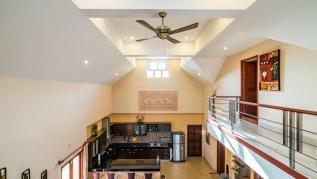 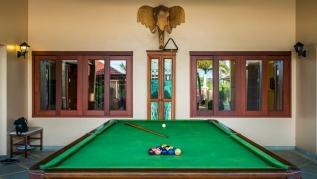 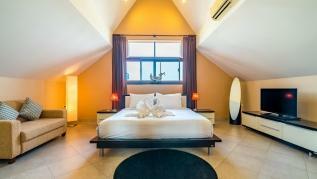 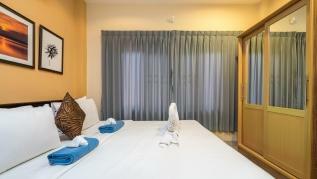 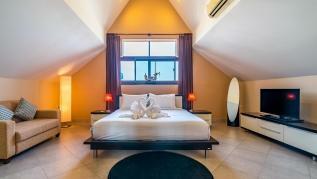 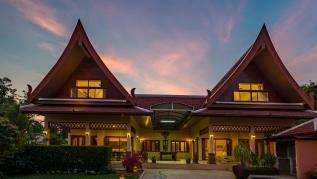 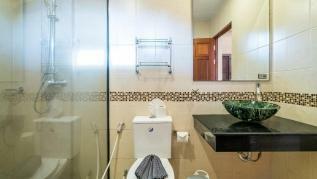 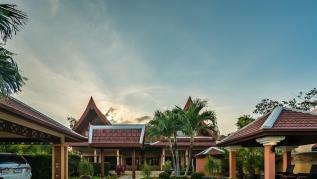 Villa Felicity is perfectly situated in the beautiful, quiet & safe neighbourhood of Rawai. 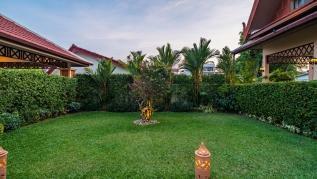 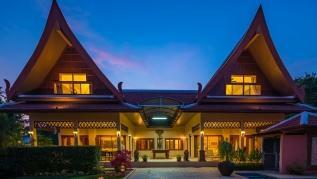 Surrounded by the lush vegetation is a tranquil retreat. 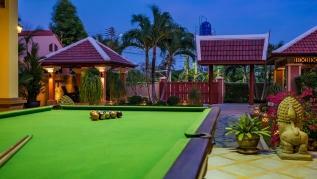 In this neighbourhood you can find many trendy coffee shops, bakeries, & restaurants. 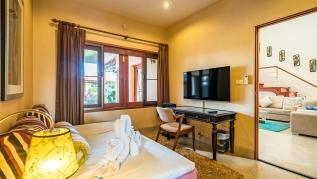 We recommend to rent scooters or a car to fully enjoy this island and villa. 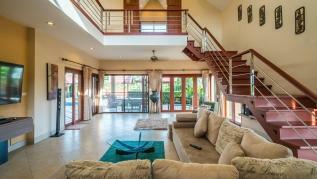 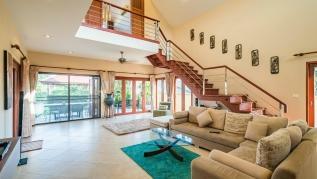 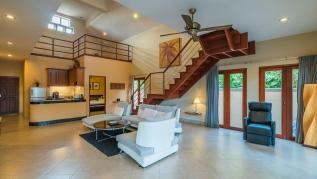 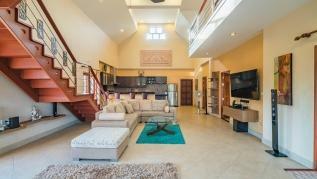 The main entrance leads to the living room, that opens fully to the salt water swimming pool. 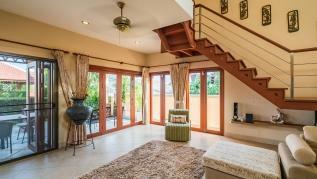 The living room has a flat screen TV, large sofas and fan. 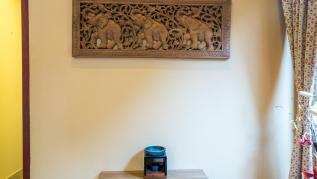 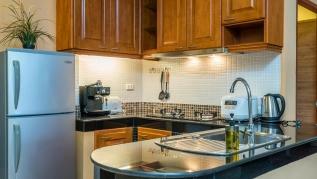 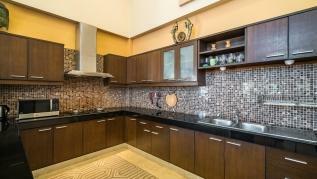 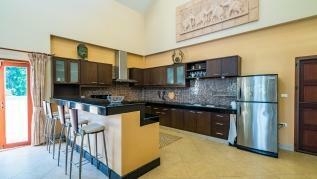 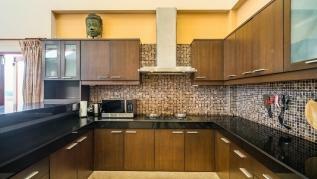 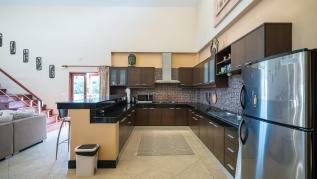 Next to it the kitchen is european style with full appliances, cutlery and dish ware, pans, pots and even a large wok. 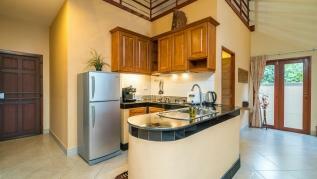 The kitchen features a large refrigerator, microwave and oven. 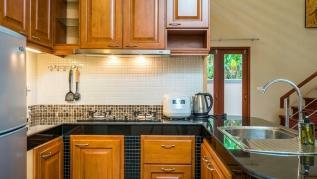 Rice cooker, coffee machine, electric kettle and toaster are at disposal. 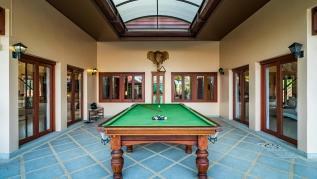 A dining table is set at the side with pool view. 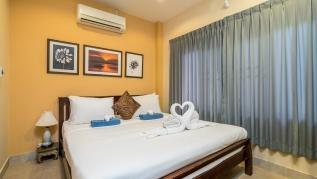 The first bedroom has a queen bed, closet, AC and black out curtains. 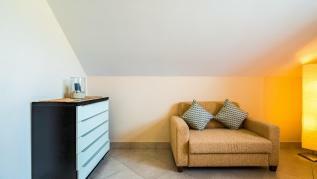 A large desk with armchair can be used to work with the high speed wifi. 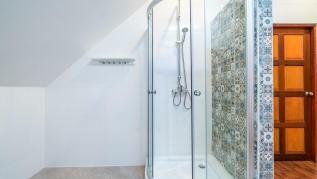 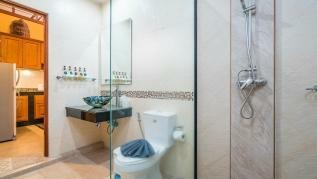 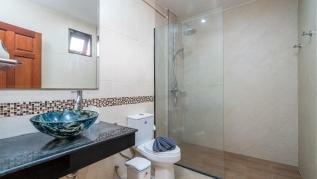 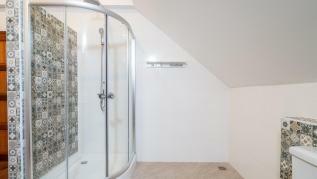 Bathroom is adjacent with a bathtub and shower. 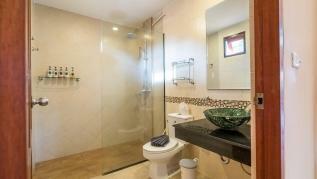 Master bedroom has pool view and an ensuite bathroom. 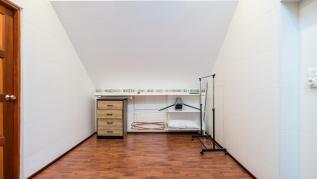 Bed is king size and the room has large closets with hangers and a safe. 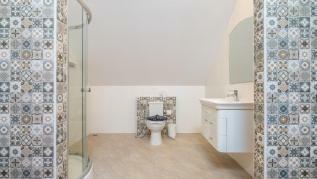 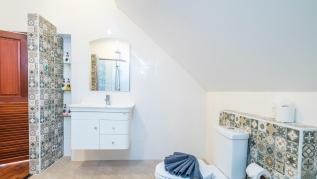 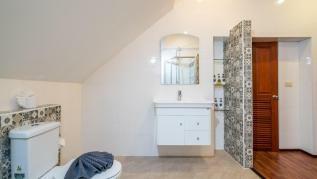 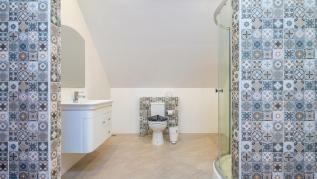 Third bedroom features a king size bed, closets and ensuite bathroom with walk in shower. 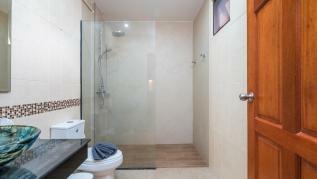 Fourth bedroom ensuite bathroom and walk in shower, king bed, TV and DVD. 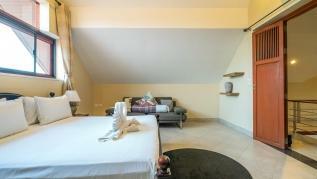 Last bedroom also king size bed, ensuite bathroom with walk in shower and TV. 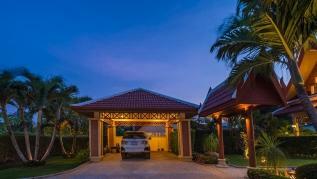 The garage is private and gated.